Karuna® Reiki goes very deep and heals a person quickly with smooth and amazing energies. When we combine Karmic Reiki with these wonderful smooth energies many unresolved issues can be solved. Today I will discuss with you all how the combo of Karuna and Karmic Reiki can heal a person of his past life, heal his addictions and also heal his allergies. You can cure many more issues with this beautiful combo too, but I will share these three major issues which I have been successful in healing many of my clients. 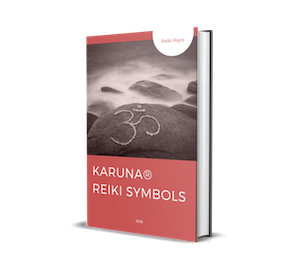 Karuna® and Karmic Reiki when received with full faith and intention will touch the root of the issue and heal it completely. One needs to give healing for 21 days regularly to see some beautiful results and can further continue based on severity of the issue. I will start sharing ways of healing to make a person come out of addictive behavior first. 1. Connect with your client with Hon Sha Ze Sho Nen and scan his aura and check for energy imbalances. 2. Now draw the emotional butterfly symbol on your palms and brush the aura of the person in a way that you are cleansing him of his karmic energies with the intension that his addiction is getting cleansed, than use the Taoist grace symbol to remove any addictive patterns and negative thinking from the client’s aura. 3. Now activate the Zonar, Harth, Sei He Ki and Dai Ko Myo symbols and start giving Reiki from his Crown chakra and imaging the energy moving down from his Crown to all the chakras and ask guidance and help from the higher self to heal him from the addictive pattern. 4. Next Zonar, Halu, Rama and Usui Master Symbol and do the same process but imagining the energy going from Crown to the Root and back from Root to the Crown, aligning the clients chakras and re-patterning the energies inside his body making him come out of his addictive pattern. 5. Once you feel the flow stops seal the healing with Cho Ku Rei and thank the higher self for helping you in removing the client’s addictive patterns. Do this initially for 21 days and if needed continue healing for the next set of 21 days. Next I will share how to heal someone of their allergies with the combo of Karuna® and Karmic Reiki. 1. Connect with your client with HSZSN and scan his aura and check for energy imbalances. 2. Now draw the emotional butterfly symbol on your palms and brush the aura of the person in a way that you are cleansing him of his karmic energies with the intension that his allergy is getting cleansed. 3. Now activate the Zonar, Gnosa, Shanti and Rama in your hand and transmit the energy from the clients back Heart chakra filling his whole body. 4. Once you feel the flow has stopped activate your hands with Usui Master symbol and seal his aura completely and thank the higher self in helping you in removing the allergies from our client. Do this for 45 days and the client will see lot of changes in his allergies and for few the allergies have completely disappeared too. Third I will share on healing your past lives with Karmic and Karuna® Combo. 2. Now draw the emotional butterfly symbol on your palms and brush the aura of the person in a way that you are cleansing him of his karmic energies with the intension that his past is getting cleansed. 3. Use the Taoist grace symbol to remove any ego patterns and negative thinking from the client’s aura. 4. Next we will draw Mei Ku Do and Mei Tu Nyo on our hands and our Third Eye and send the energies from the clients back Heart chakra to his Root and back from Root to his back Heart releasing him from his ego and his past karmic issues and remove all his blockages and strengthen his aura. 5. Once this is done activate Zonar and Halu and give these energies to the back of his Heart and his Solar Plexus with the intention of completely healing him of his karmic issues related to his past. 6. Seal the healing with Cho Ku Rei and thank the higher self in helping you clearing the client’s past. This session has to be done for 21 days initially. I hope you enjoyed reading this article, and you’ll give it a try in your practice! Thank you for reading. Can we do it on ourselves. Best article of urs Pinky! Absolutely brilliant! But wat is the Emotional Butterfly n Taoist Grace symbol? If we hv to heal our past karmas, we need to know these symbols, ryt? Thanks for such useful info n tips. Fabulous article..u r amazing Didi..
Hello Pinky Ji I have done two levels of Reiky long time back … I practice it religiously but want to learn next levels too …. Please guide me if I have to learn from level one from you I am asking because all masters have different ways of teaching n also how can I proceed ? Thanks Pinki for sharing the article. I am a reiki master and want to know if additional attunement need needed for Karmic Reiki. I have second level attument for Karuna. Will appreciate your reply. Hello pinky can the karuna and karmic combo for allergies be done for distance healing.